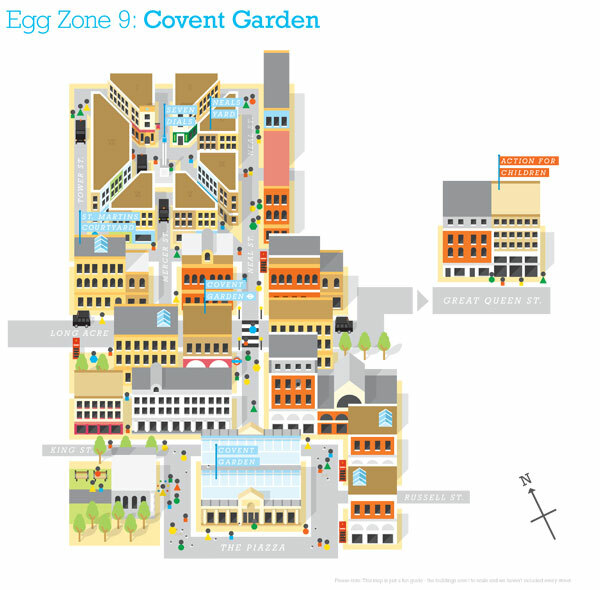 The latest from our resident zoologist and London-based editor, Justine Aw. 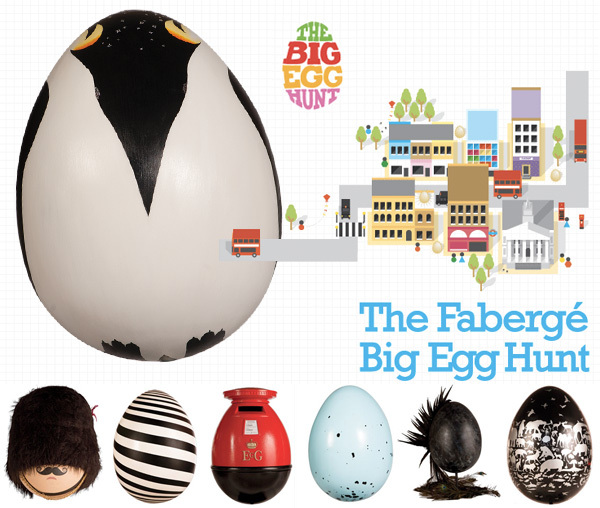 London has become home to over 200 eggs as part of The Big Egg Hunt presented by Fabergé. 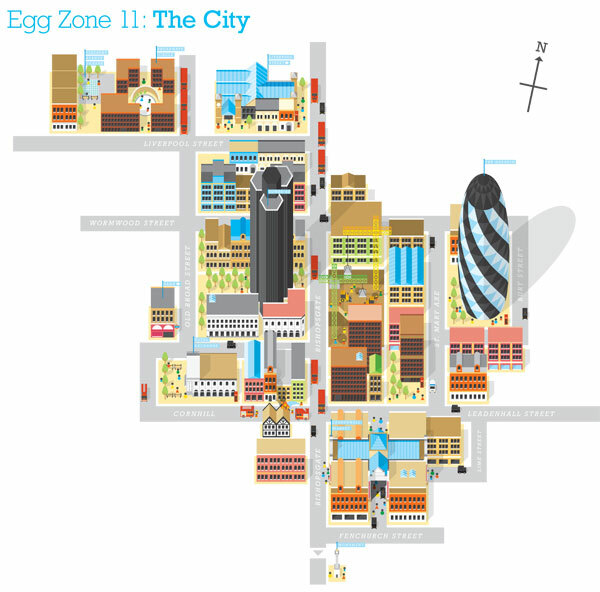 The eggs created by leading artists, designers, architects and jewellers scattered throughout London in 12 “zones”. 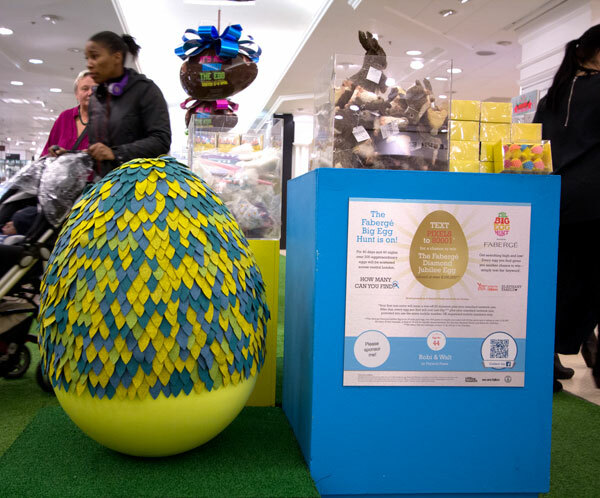 The record-breaking egg hunt raises funds and awareness for the charities Action for Children and Elephant Family, through souvenirs (see more on the next page!) 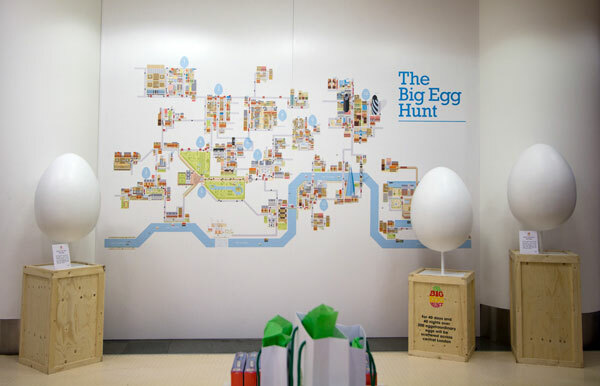 as well as auctions of the eggs themselves. 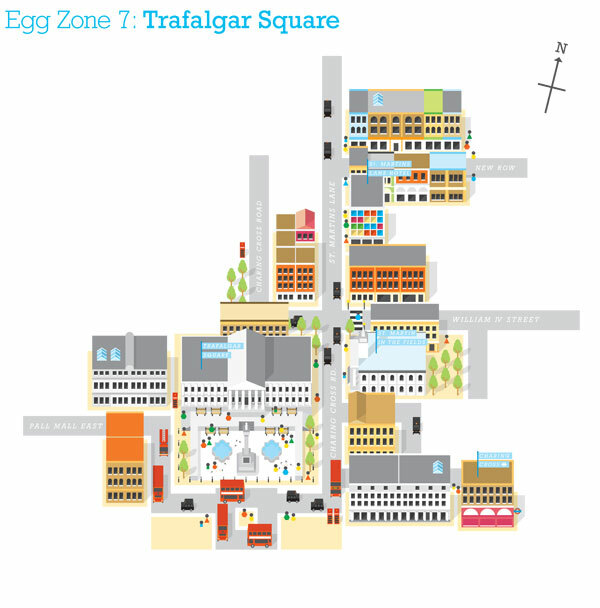 Egg hunters can text the code associated with the egg they’ve found for a change to win The Diamond Jubilee Egg. 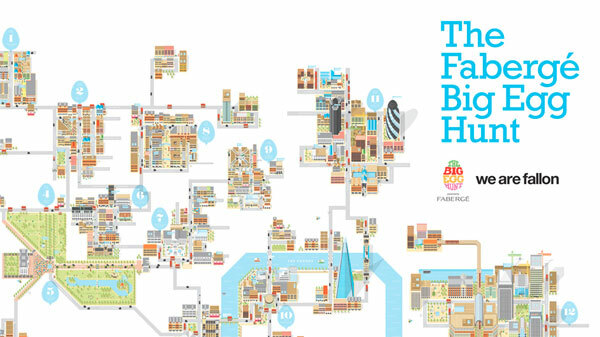 Great way to raise awareness and a wonderful excuse to get out and explore the city! 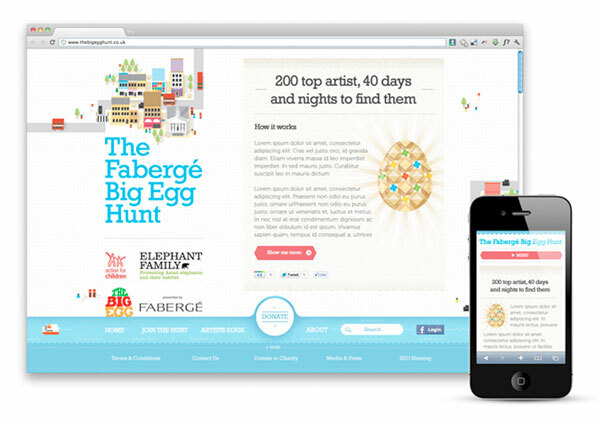 In addition to the many beautiful eggs, we also love the identity and branding work for created by our friends at Fallon (remember the white rabbit Syfy campaign and sony playdoh bunnies?). 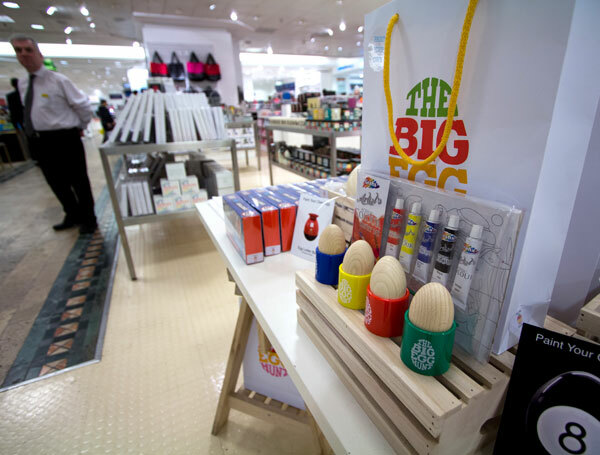 Check out more photos of the lovely identity work and of the hunt including our own finds, the Big Egg Shop at Selfridges and some of our yet-to-be-spotted favorites on the next page! 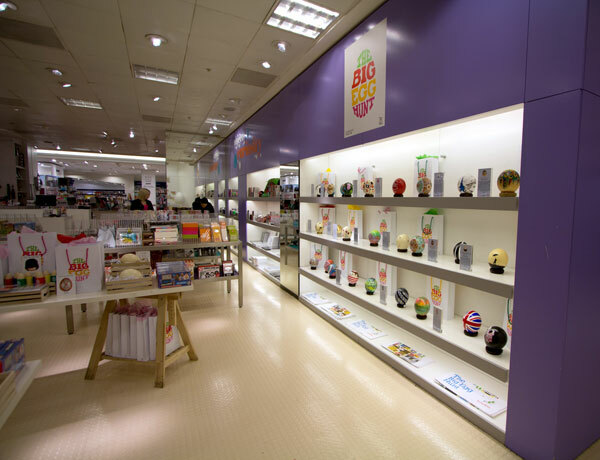 All the Stars, Moon & Sun by Ajay Padda and Boo by 3D eye. 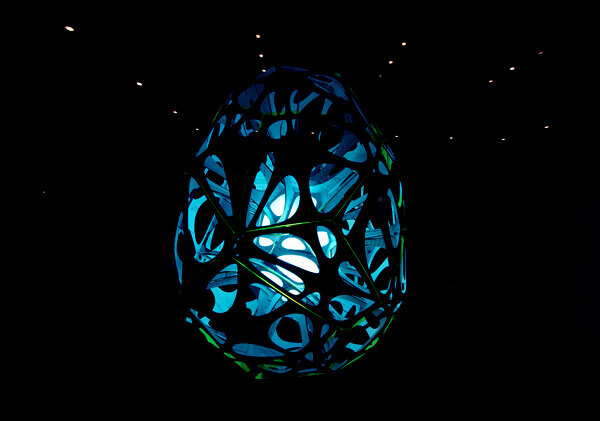 Butterfly Effect Egg by Clara Lacy, Extraordinary Rubbish by Haruka Miyamoto, and Caeruleus & The Good Egg by Rhea Thierstein. 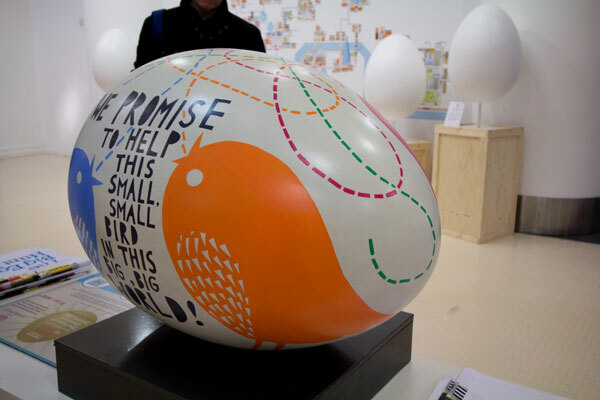 Busby by Rachel Waldron, Hypno Egg by Georgia Byng, and Egg Letter Box by Benjamin Shine. 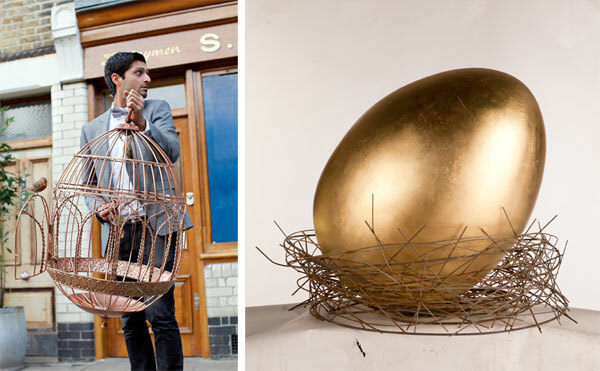 Song Thrush by Helen Cowcher, Birth of Lilith by Kristina K, and Don’t Break the Egg by Patrick Mavros. 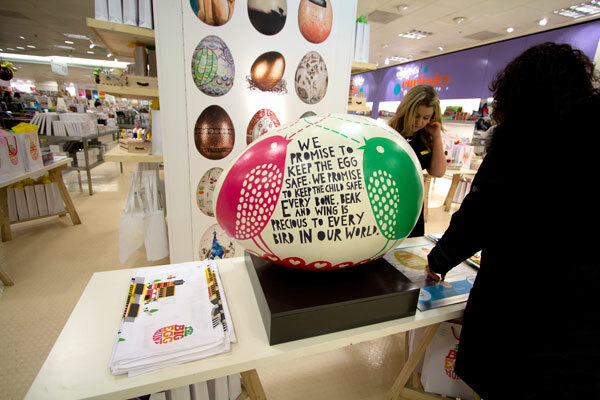 Lovely egg from Rob Ryan at the Big Egg Shop in Selfridges. 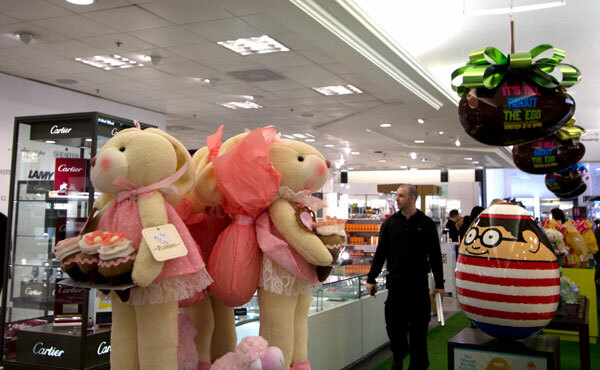 Selfridges is host to a number of eggs, as well as the official Big Egg Hunt shop, which is full of adorable souvenirs as well as mini-eggs (in case you miss out on the real ones in the auction). 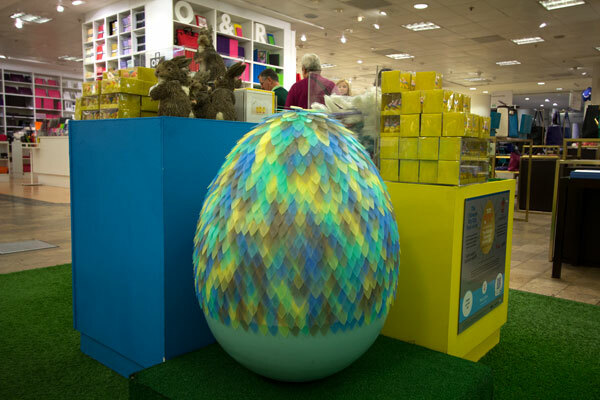 One of two eggs from Physical Pixels in Selfridges. 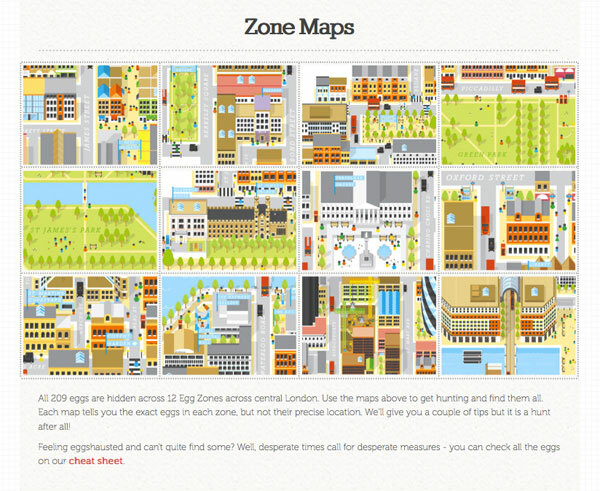 Where’s Wally? 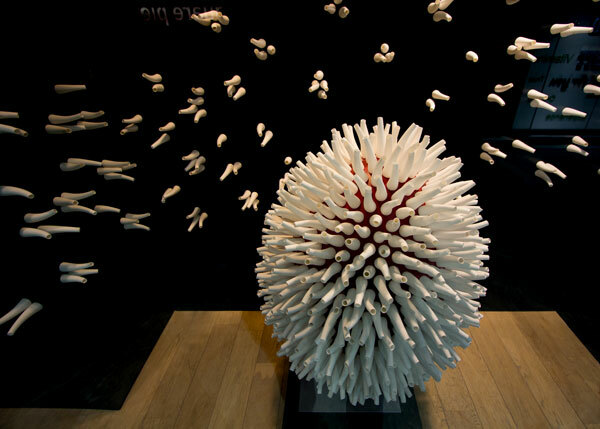 by Martin Handford in Selfridges. 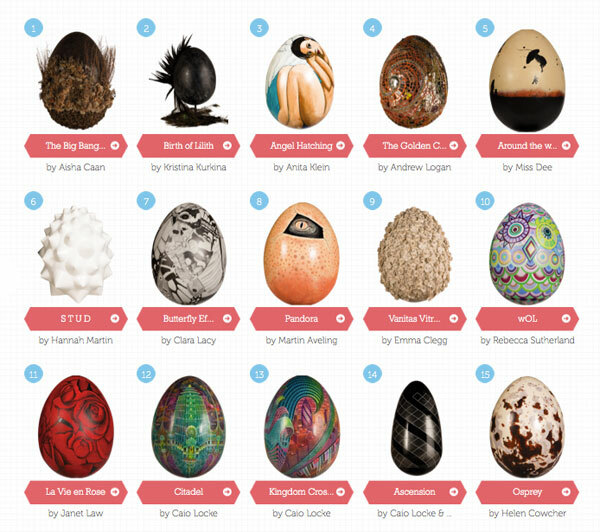 Here are a few more favorite eggs we’ve come across! One of my absolute favorites! 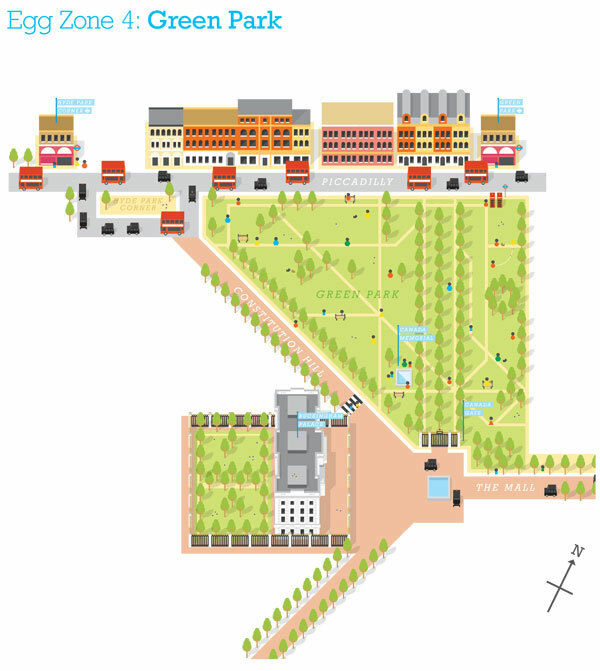 Algorithm by Wilkinson Eyre.